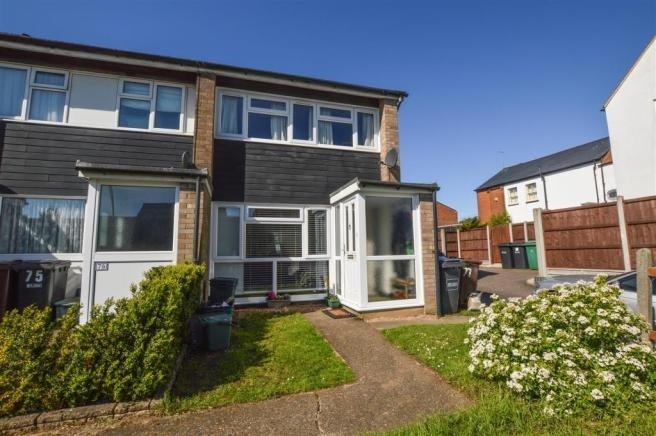 Situated within easy reach of local shops, school, amenities and with great road and bus links, this TWO BEDROOM END OF TERRACE property boasts GENEROUS GROUND FLOOR SPACE and a VERY LARGE MASTER BEDROOM. 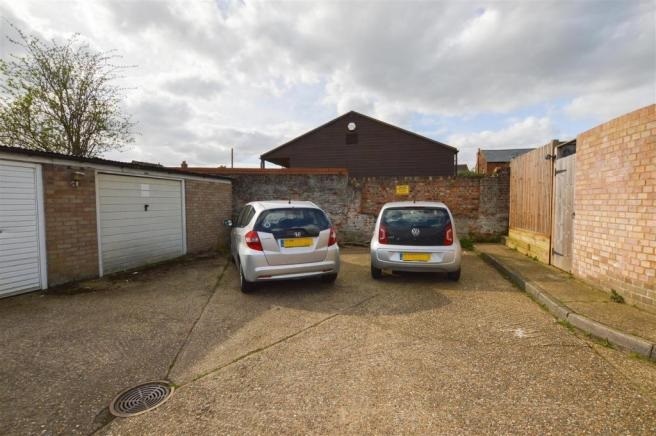 Offering POTENTIAL TO EXTEND to the rear (as several neighbours have and also subject to PP) and with a PRIVATE GARAGE AND ADDITIONAL PARKING TO THE REAR. 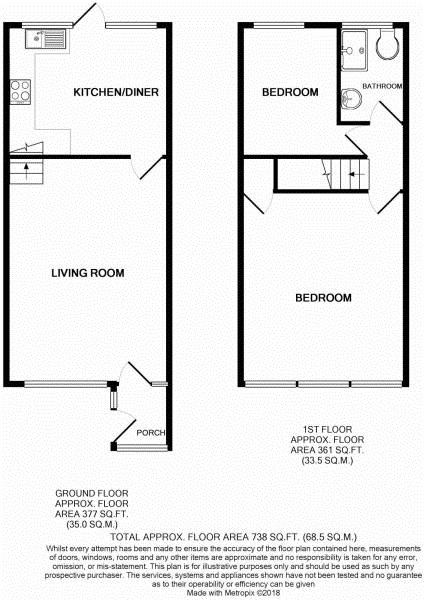 This property MUST BE VIEWED! 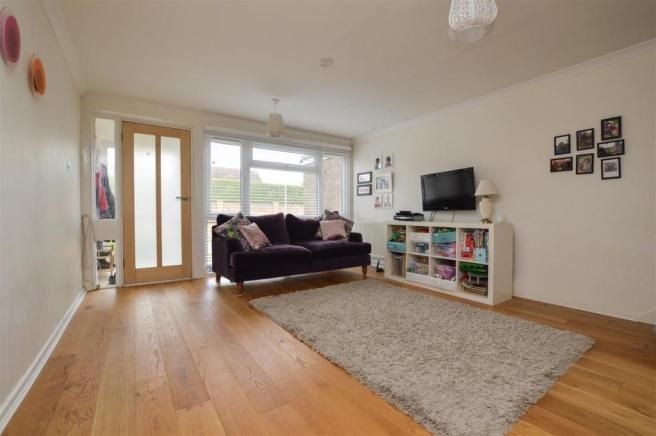 Generous lounge, Large picture windows to front aspect, Two ceiling light point, Two radiators, TV point, Wood effect floor, Modern part glazed door to kitchen, Stairs to first floor. 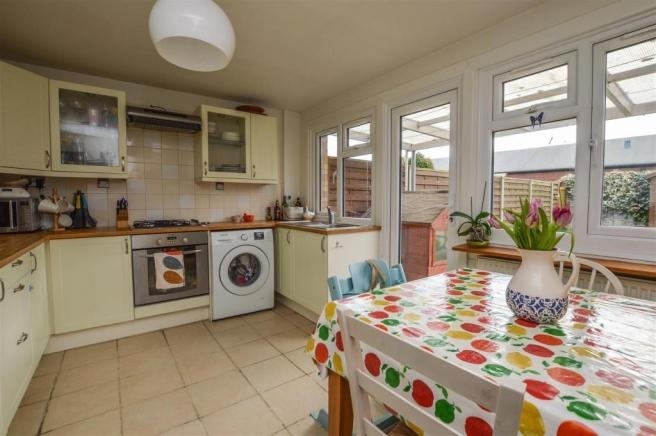 Two windows to rear, Ceiling light point, Range of fitted wall and bas units, Integrated oven and hob with extractor fan above, Recess and plumbing for washing machine, Space for Fridge/Freezer, Tiled flooring, French doors to rear. Very large master bedroom, Windows spanning one wall to front, Coved ceiling, Ceiling light point, Radiator, Fitted carpet. Window to rear garden, Coved ceiling, Ceiling light point, Radiator, Fitted carpet. Modern bathroom, Window ro rear, Panel enclosed bath with shower above, Pedestal wash hand basin, Low level WC, Heated towel rail, Part tiled walls, Vinyl floor covering. 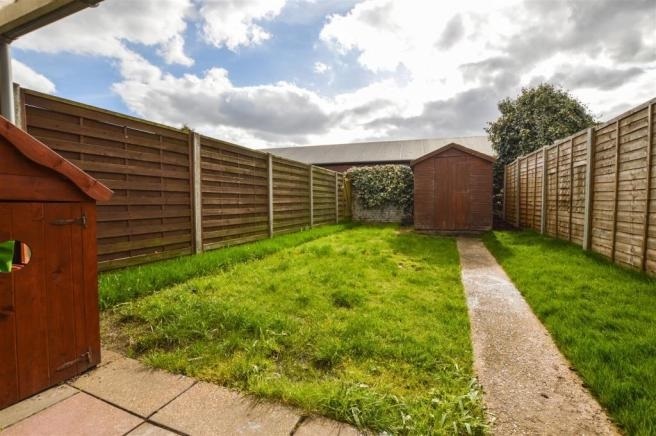 Enclosed rear garden, Access from front to back and to garage at the rear. Mainly laid to lawn. Private garage to the rear with parking for two cars directly in front.